is used to help gain control over others and have them bend to your will. April's Homework Party is Friday the 11th. 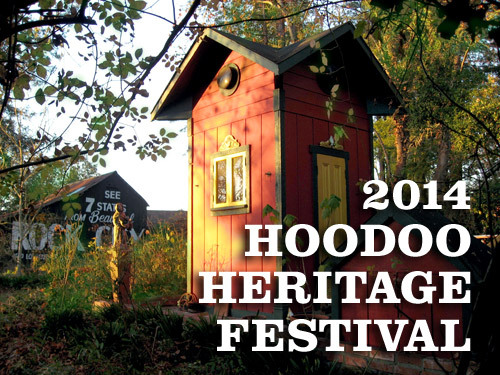 Only ONE MONTH to go before hoodooists from around the world descend on Forestville for the 7th Annual Hoodoo Heritage Festival. Everyone at Lucky Mojo has been busily working away to prepare for this exciting event. On top of all of the work that goes into putting on the Hoodoo Heritage Festival there are also FIVE NEW BOOKS in the works! 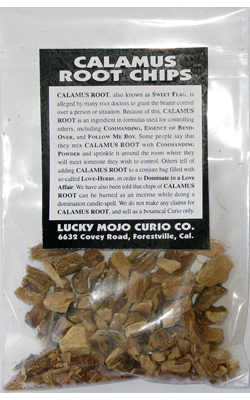 Because there is so much going on, this newsletter is packed full of information about the Hoodoo Heritage Festival, the new books, and of course, all of the FREE SPELLS and HERB-LORE that you have come to expect from the Lucky Mojo newsletter. The good news is that you can buy tickets and pre-order books right here in this email. See you next month! The program is FREE to Hoodoo Rootwork Correspondence Course graduates, but you must call Heidi Simpson at the shop to arrange your attendance. The number is 707-887-1521. Heidi is available Sunday through Thursdays. Art Deco Fortune Telling Cards. Piatnik. On sale May 5th, 2014 and we are taking Pre-Orders NOW! This exciting new book from Miss Michaele and Professor Charles Porterfield is a guide to the mystery and magic in the Bible. These two talented rootworkers explain how to use the Bible for your own rootwork. They explain who the greatest magicians in the Bible actually were and why their work is so important. They give specific Bible verses and quotes for a wide variety of conjure needs; from blessing to cursing. Both Miss Michaele and Professor Porterfield work closely with the Bible in their own rootwork and this book gives details on how to make this magic work for you. Plus, there is an extensive "Frequently Asked Questions" portion, with questions and answers directly from the Lucky Mojo Forum. This gives you the experience and expertise of the authors, as well as the skilled moderators and members of the Association of Independent Readers and Rootworkers. We are lucky to have Miss Michaele and Professor Charles Porterfield offering a workshop at the Hoodoo Heritage Festival titled after this book. Attendees to the Festival on Sunday will get a FREE copy of the book, along with a prayer card, a small bible, and a MISC church fan. 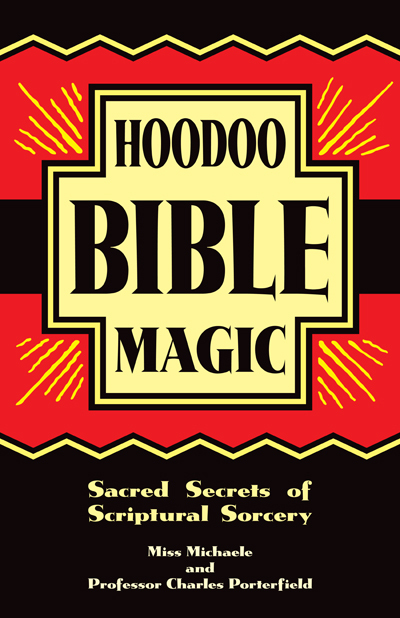 This Bible magic tell all will go on sale to the general public on May 5th, 2014. It is 96 pages for only $9.00! Spiritual bathing is a magical process that spans a wide range of traditions and is a staple of African-American folk magic. Aura Laforest, a talented Hoodoo practitioner and moderator of the Lucky Mojo forums has put together this amazing resource for spiritual bathing based specifically on the Hoodoo tradition of magic. This book details spiritual baths, with recipes, for a wide variety of needs and conditions; along with different teas and drinks for internal bathing. Along with the extensive spiritual bath and bathing information that Aura Laforest has provided and gathered there is also a section of "Frequently Asked Questions" that have been mined from the Lucky Mojo Forums, bringing you a well-rounded approach to spiritual bathing. 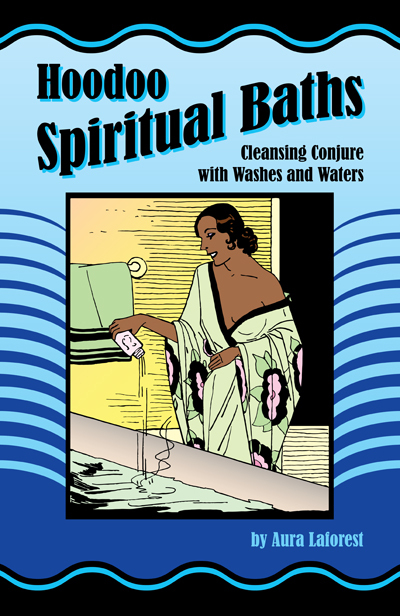 This book is the premiere resource for all spiritual bath and bathing needs. 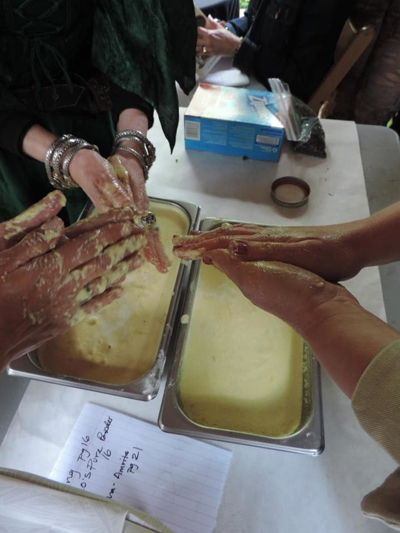 On Saturday May 3rd at the Hoodoo Heritage Festival there will be a workshop by Lou Florez and Miss Phoenix based on the information provided in the Hoodoo Spiritual Baths book. By attending the workshop you will receive a FREE copy this 96 page book, along with a sample of bath crystals to take home. Hoodoo Spiritual Baths will be on sale to the general public starting on May 5th 2014 for only $9.00. On sale May 5th, 2013 and we are taking Pre-Orders NOW! Michele Jackson, talented reader, rootworker, and AIRR member has written an amazing book on modern bone reading. This book gives real world and modern information on how to make the art of bone reading work for you. 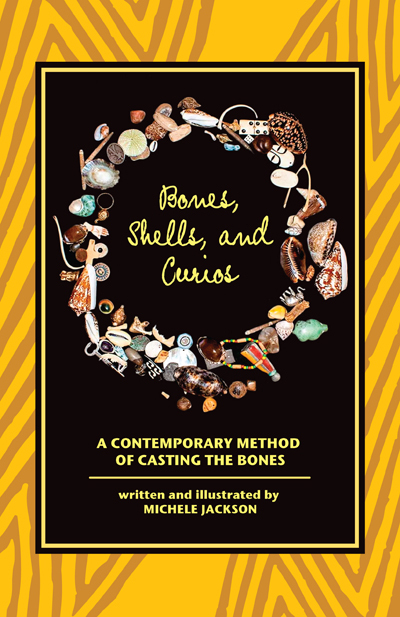 In this book Michele offers guidance on how to throw bones, shells, nuts, and curios for divination. Along with her in-depth person information on bone reading and her years of experience, Michele also pulls information from the Lucky Mojo forum, creating an extensive "Frequently Asked Questions" section where details are given by forum moderators and members of AIRR. We are lucky to have Michele Jackson offering a workshop on Contemporary Bone Reading at the Hoodoo Heritage Festival on Sunday, May 4th. You will learn how to consult the bones for yourself and your clients. Not only will you receive a small carved shell for your own bone set at this workshop, but you will also get a FREE copy of Bones, Shells, and Curios. Bones, Shells, and Curios: A Contemporary Bone Reading Method will go on sale to the general public on May 5th, 2014, but pre-orders are being accepted now. This 96 page book will be available for only $9.00! For the last four years Sister Robin Petersen has helped to create a Hoodoo Foods recipe book that has been given out at the Hoodoo Heritage Festival. This year, we are proud to announce a compilation of these past fours years very best recipes and Hoodoo Foods! 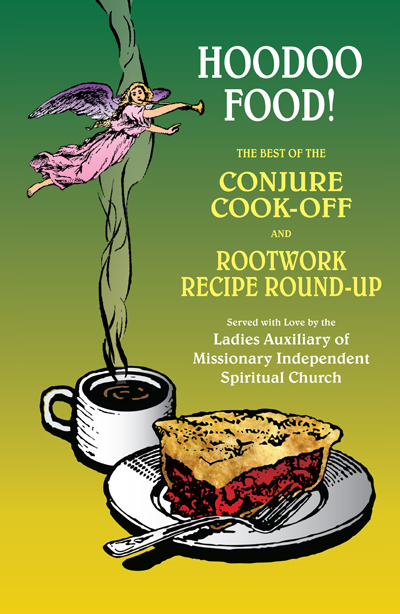 The Ladies Auxiliary has taken the very best from the past Conjure Cook-Offs magical recipes and put them all into one handy book. These tasty foods can help you to enhance romance, promote prosperity, attract abundance, and provide protection all using traditional Hoodoo herbs and spices. A FREE copy of Hoodoo Food! The Best of Conjure Cook-Off will be given out during the buffet-style lunch on Sunday, the 4th. And it will go on sale to the general public on May, 5th 2014. This 96 page book is only $9.00! On sale June 15th, 2014 and we are taking Pre-Orders NOW! Trolldom, the folk magic of Sweden, Norway, and Denmark, has been practiced for more than 500 years. Now, after extensive research, Johannes Gardback presents the fascinating occult art of Norse trolldom to an English-speaking audience. 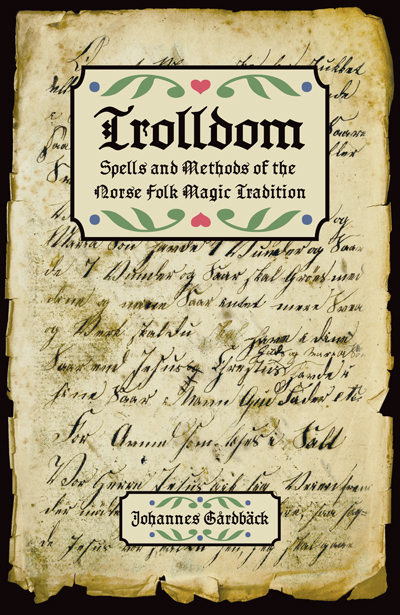 This detailed account of traditional Scandinavian folk magic offers in-depth historical background, divination methods, and descriptions of practical trolldom, paving the way for the 2014 publication of hundreds of collected trolldom spells for love, money, protection, healing, and cursing. Johannes Gardback is a respected healer, teacher, and spiritual worker of Swedish folk-magic. A practitioner of hoodoo and conjure, he is also a founding member of AIRR, the Association of Independent Readers and Rootworkers. He brings solid, firsthand knowledge of Norse, Scandinavian, and African-American folklore to his international practice. He currently lives in Gotheburg, Sweden. The work on the railroad continues through the intermittent rain. It is really starting to take shape, although there is still quite a bit to do. I trust by May we will be seeing the train coming down the tracks. 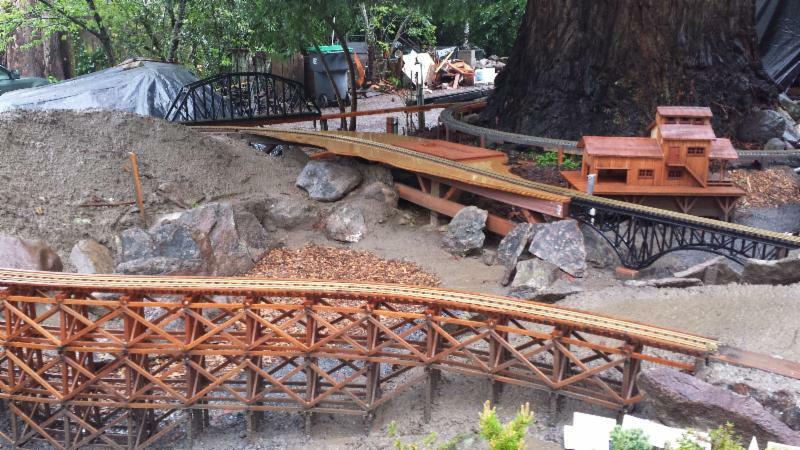 The rain is creating a bit of a somber look in the photo below, but it hasn't hampered the hard work of our train team. Daniel Smith is still diligently working away during any rain-free moments. He is out on the tracks fitting, adjusting, creating, and putting together our railway. I can hardly wait for the official launch of the train. It is going to be quite a thrill to finally see it all come together and take its maiden voyage around the track. Another fun addition to the entertaining adventure that is Lucky Mojo. Special Guest Readers and Rootworkers from AIRR, the Association of Independent Readers and Rootworkers, will be featured on April 6, 13, 20, and 27, 2013. 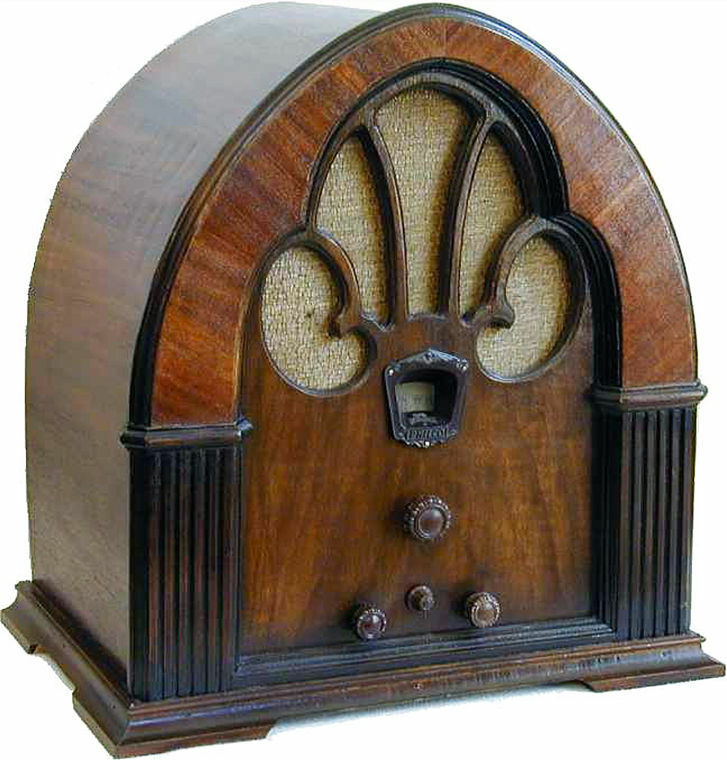 Tune in and see who's up! 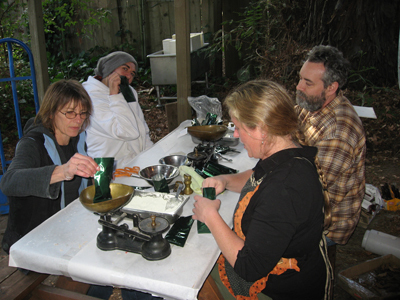 For the last seven years the spring has been a time of heightened activity and planning. Each year i say that this will be the last Hoodoo Heritage Festival, and yet, the next year it somehow comes together once again. The buzz of preparation, the close to complete railroad, and the new books are keeping me on my toes. i look forward to seeing you next month. 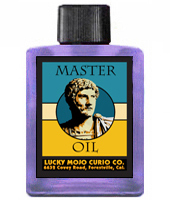 Save 20% on your next order of Lucky Mojo Curio Co.